Food Network’s hit show The Great Food Truck Race is now casting is currently casting for their 8th season. 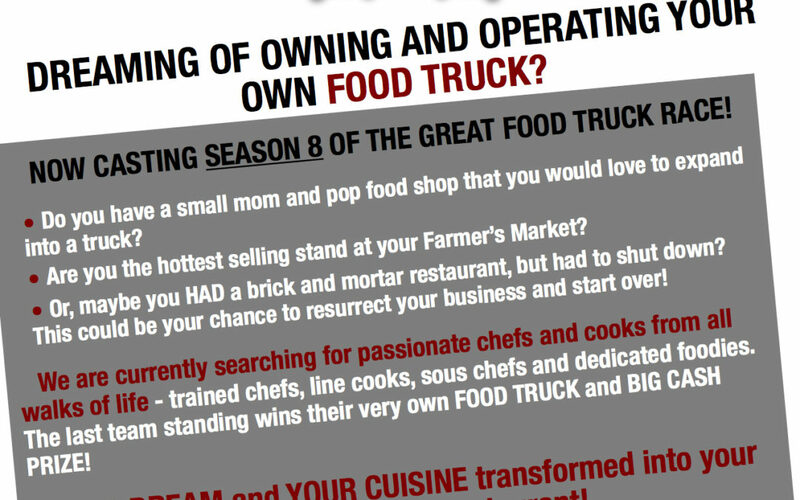 If you have ever dreamed of owning your own food truck now is your chance. Details are below! In short, it is a cooking competition tv show for individuals (teams of 3) who dream of opening and running their very own food truck, they do not need to own a food truck for the competition. The winner receives their very own food truck and cash prize!! 4. What would your food truck be called? Why? 5. What skills do you each bring to the team (cooking/selling/marketing etc)? 6. What is your relationship to your two teammates?